Published on March 7, 2016 in Uncategorized. 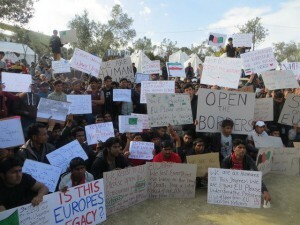 Closed Tags: 2016, border, border crossing, FYROM, greece, hunger strike, Idomeni, Macedonia. “Like dogs! 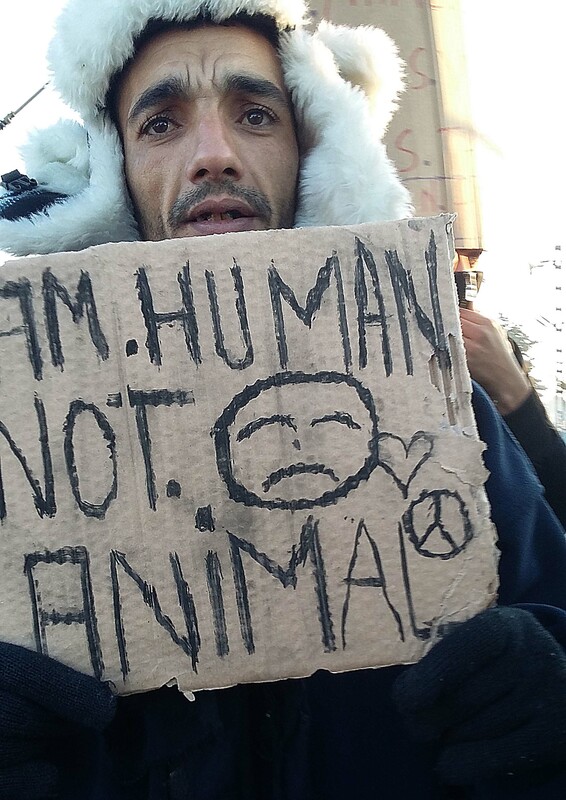 We are waiting here under unbearable conditions – it is not even suitable for animals!” says a young woman who is enduring since days at the borders of Idomeni. Everywhere around the transit border camp are media representatives from all over the world covering the humanitarian crisis of the last two weeks. It was then when Austria and the Balkan states decided to further reduce the numbers of the refugees who can pass the borders by limiting the eligible nationalities on Iraqis and Syrians. 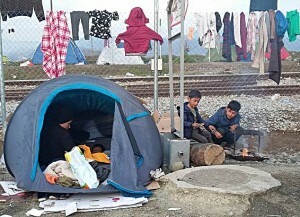 On Monday refugees started a hunger strike after a 13-years-old boy got electroshocked by a cable of a standing train. But is anybody listening out there? Published on February 28, 2016 in Uncategorized. 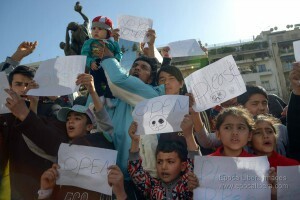 Closed Tags: 2016, afghan, closed borders, greece, Hot Spots, Idomeni, Piraeus, protest, relocation centres, struggles and resistance, stuck in Greece, Victoria Square. The UN Secretary-general Ban Ki-moon on February 26, 2016 voiced concern about increasing border restrictions in the Balkans and Austria for migrants and refugees streaming towards Europe “calls on all countries to keep their borders open, and to act in a spirit of responsibility sharing and solidarity, including through expanding legal pathways to access asylum,” his spokesman Dujarric said. Published on December 10, 2015 in Uncategorized. Closed Tags: border, FYROM, Idomeni, police raids, reception directive, Syriza government, Tae Kwon Do stadium. 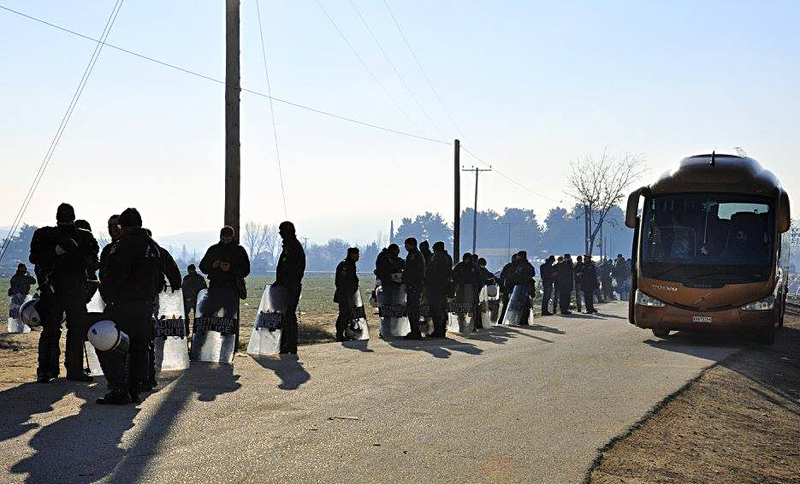 Hundreds of refugees were transferred by busses to Athens from the border city Idomeni, near FYROM (Former Republic of Macedonia), following a massive police raid with more than 350 officers participating that took place on Wednesday December 9, 2015. Many refugees had been waiting and protesting for more than two weeks along the new barbed wire fence, while only Syrians, Iraqis and Afghans were allowed to cross since November 19. 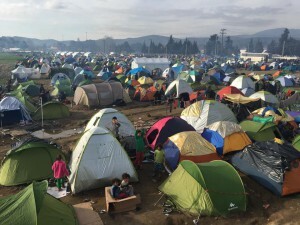 Around 1,200 refugees from more than 19 nationalities had remained in the provisory tent camp the last days “united”, as they claimed in gratifies for the right to a safe passage. 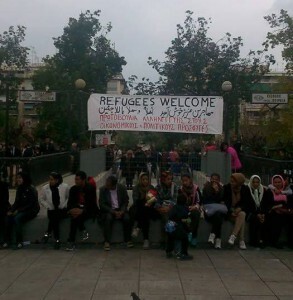 As the border got partly closed and nationalities filtered in the ones allowed to cross and the rest, the situation had escalated with the Macedonian police using rubber bullets, tear gas and other forms of violence against anyone trying to cross. Dozens of refugees started started hunger strikes to protest the discrimination, as few of which even sew their mouths. 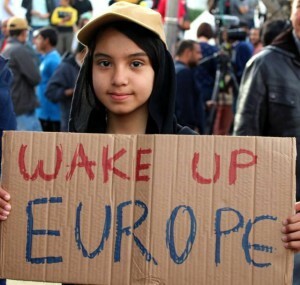 A young Moroccan died during protests as he got electro shocked accidentally. 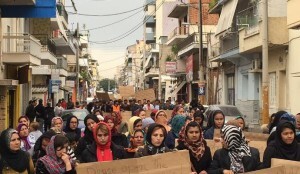 In the peak of clashes between the Macedonian police and the desperate refugees, many big humanitarian organizations left the field “for their own security”, temporarily leaving alone refugees and activists alike to cope with the experienced violence, the following injuries and confront harsh living conditions. Only a day later Frontex accepted Greece’s request to deploy Rapid Border Intervention Teams (RABIT) on the Greek islands in the Aegean to assist the country in dealing with the record number of migrants coming to its shores.